I love having friends and family stay over at my house. One of the biggest items on our list of new house must haves was a space for guests. 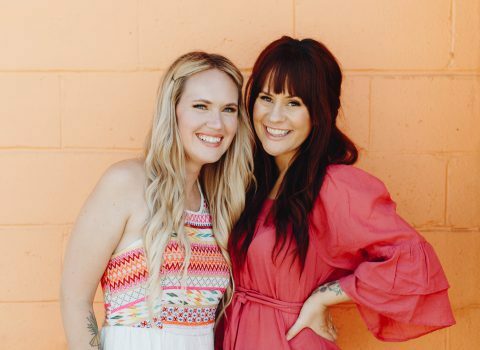 So I am so excited to have partnered with Parachute to help set up the perfect guest bathroom in my home. 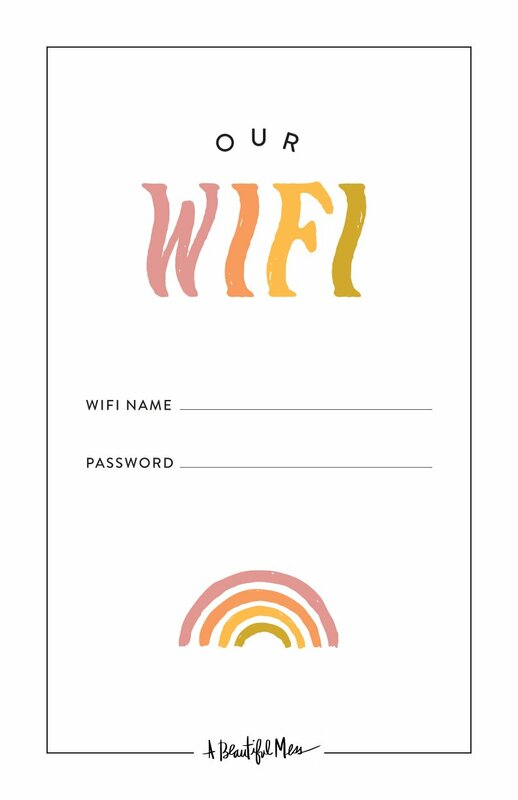 Now, everyone that comes to stay will feel like they are in a fancy hotel, only better. 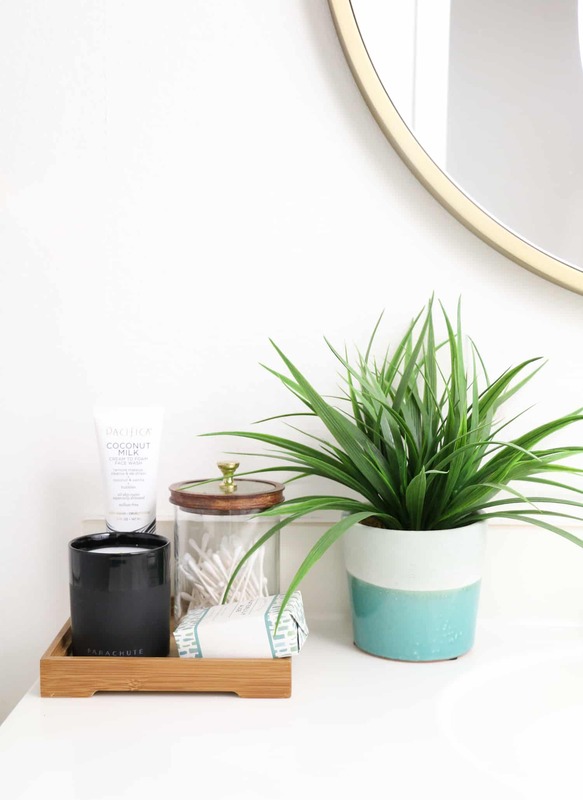 Although it may seem trivial, having a fresh and well stocked bathroom for your guests can really make a difference in how comfortable they are in your home. And it’s easier to accomplish than you might think. 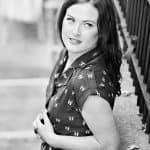 I will walk you through a few of my favorite ways to elevate my bathroom and have guests feeling pampered. Of course the number one thing on the list is to make sure you have clean towels for them to use. And I’m not talking about those 4-year-old ones that you subject yourself to. 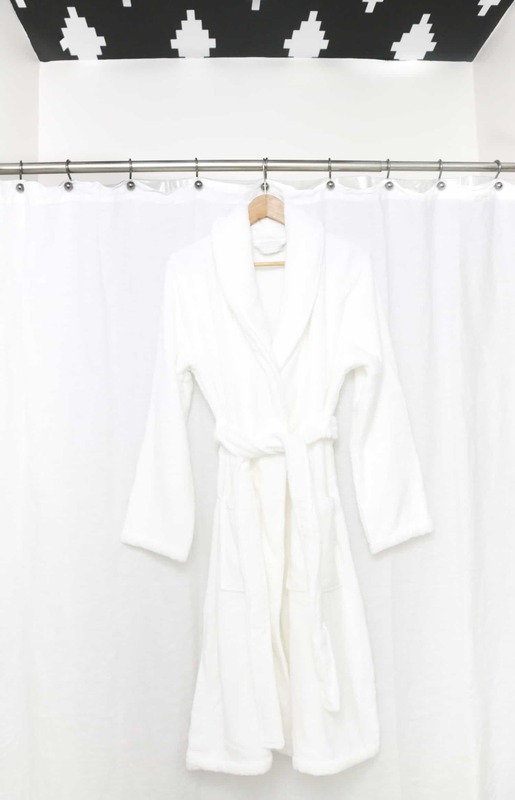 I am talking about crisp white towels like you would get at the spa. 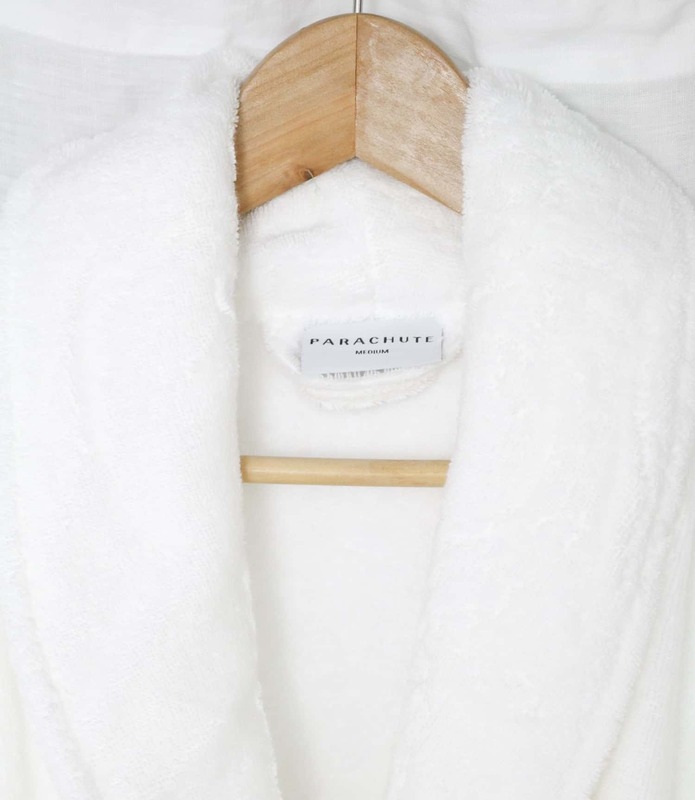 My favorite are these white waffle towels from Parachute. They are lightweight but absorbent and dry quickly. I always make sure to keep several on hand and easy to find in the bathroom so that my guests don’t have to rifle around or feel like they are bothering me by asking for more towels. 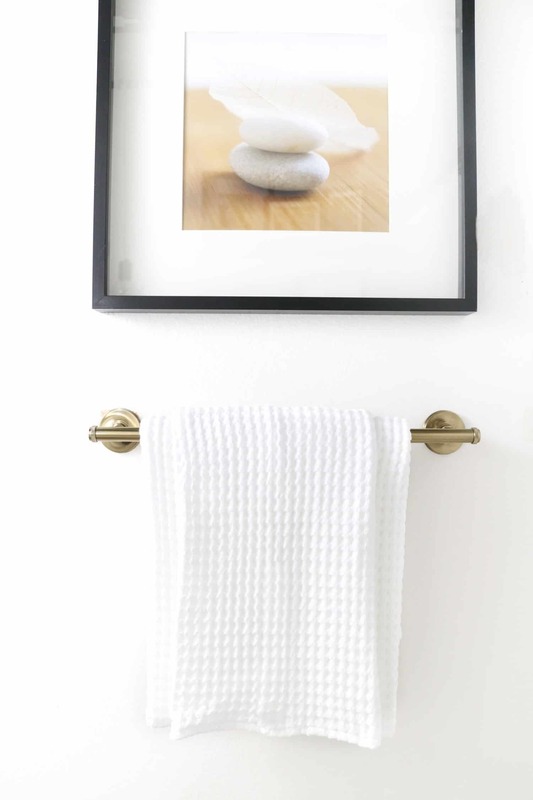 A few wood and wicker baskets do wonders to corral the folded towels. 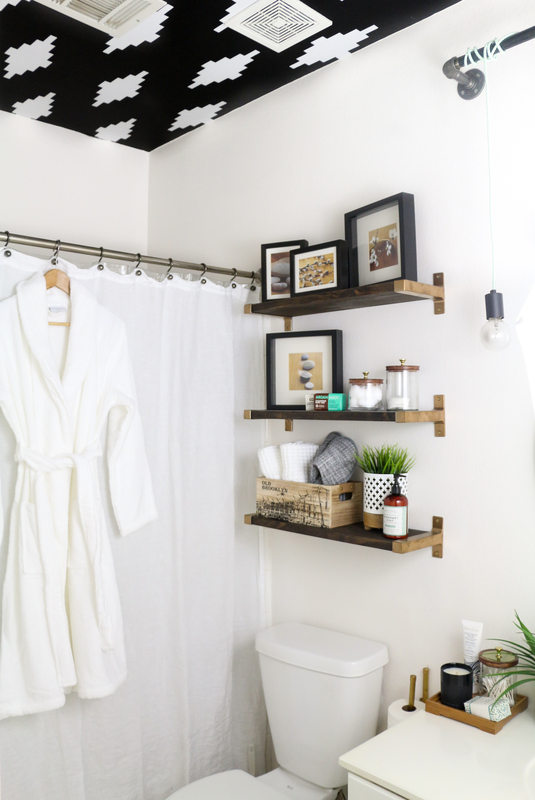 After the towels are stocked, I try to add a few little essentials like an extra toothbrush, toothpaste, tampons, lotion, shampoo, conditioner, makeup removing wipes, and plenty of extra toilet paper. Basically anything that they could possibly forget and may need. 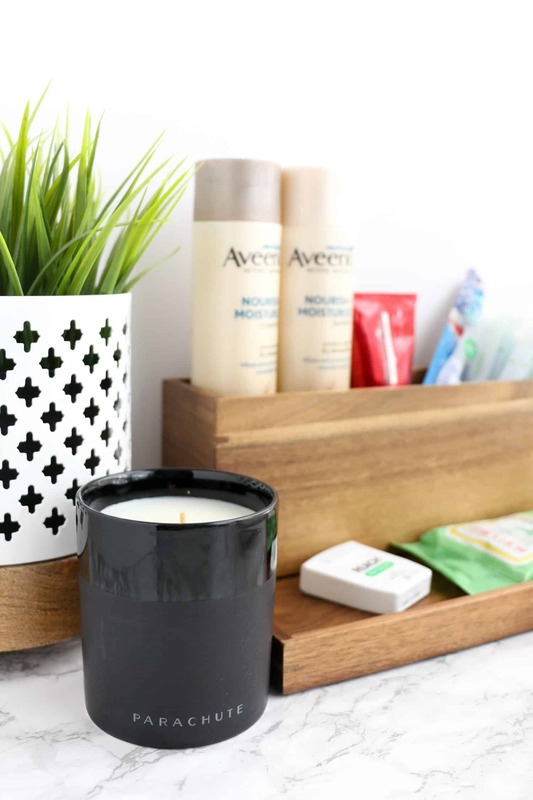 For these essentials I like to have them easily accessible either on the counter, nearby shelves or in the vanity. So that in case the need arises, they can easily find what they need. It’s little extras like this that will make your guests feel at home in your home. The last step in making sure my guest bathroom is ready for visitors is the luxurious extras. Parachute carries so many of these additions that raise the comfort level and really elevate your guests’ stay. 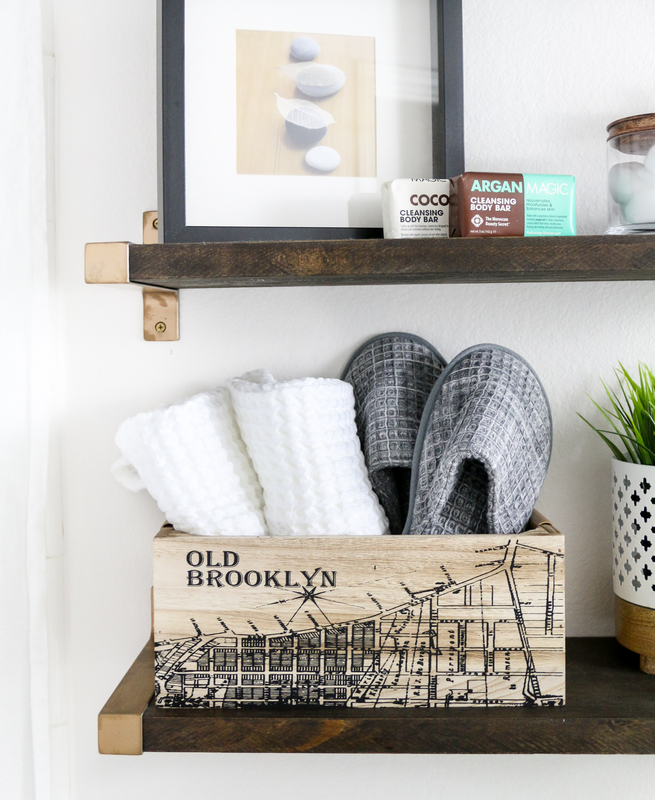 A few of my favorite extras include a plush robe for them to use, slippers to keep their feet warm, and a gently scented candle that they can light to relax (or cover up odors!). All it takes is adding a few luxe items like these to make your guests feel pampered. One final touch is a bit of greenery. 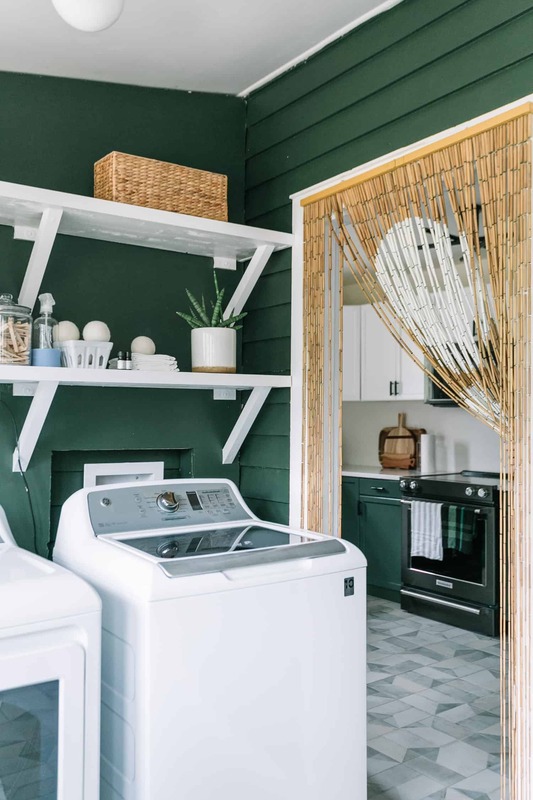 My guest bathroom doesn’t get any natural light, so I have to go with faux plants in here, but that pop of green contrasts so nicely with the crisp black and white. 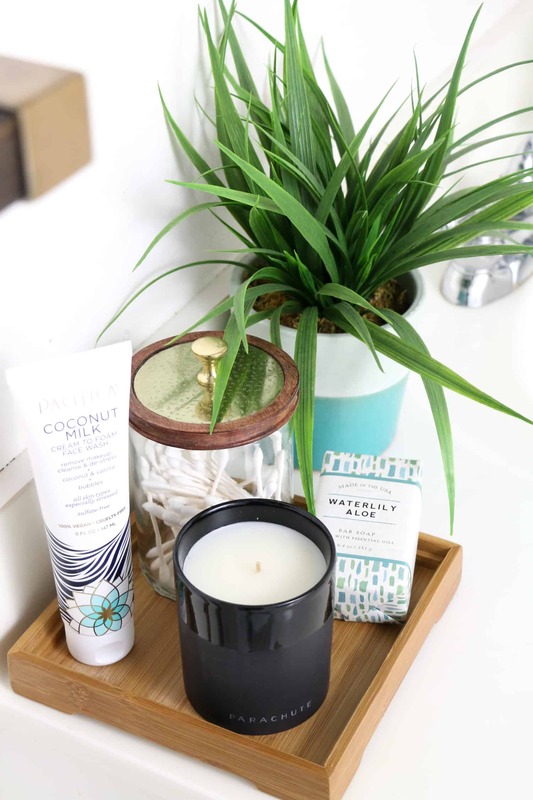 With just these few details, my guest bathroom now feels like a relaxing spa retreat every time I step inside. And I know if I enjoy it that much, my guests will too. Credits//Author and Photography: Kara Whitten. Photos edited with A Color Story Desktop. I love your shelves! I did a search, but couldn’t find a post on them at ABM. Did you make or buy them? Would you mind telling me where you got the brackets? Thank you! Love love love the lighting and the ceiling! 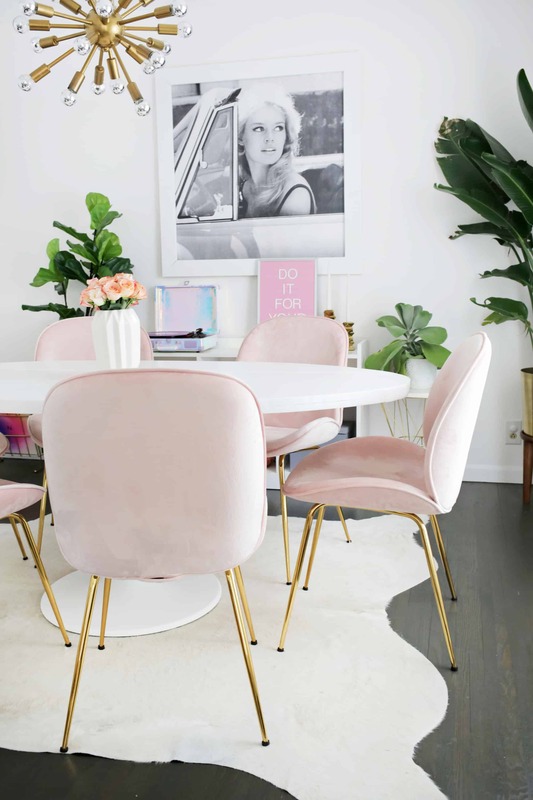 I love that you made two big statements in a small space in ways that doesn’t make it feel overdone or too whimsical. If I visited someone and they thought of me down to a robe and slippers I’d probably be overwhelmed. ‘Such thoughtful touches! I literally gasped when I saw your lighting set up. It is beyond cool! That and the black ceilings have stole my heart. I would have never guessed this is a windowless bathroom, it looks so airy and light. Though I do need to know: where is that awesome mirror from? Thank you so much!!! 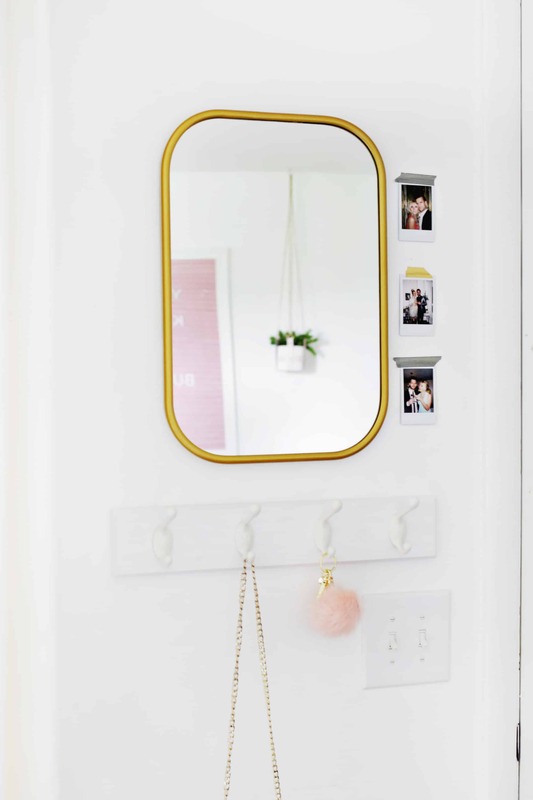 The mirror is from West Elm, but I’ve seen similar in the new Target project 62 collection. The string lights over the mirror are so cool! I don’t think I’ve ever seen anything like that before, especially with the mint cord! This is such a lovely bathroom! A couple months ago we finally got our guest bathroom completed (after a horrible insurance claim), it is the nicest bathroom in the house and I so with it were mine! 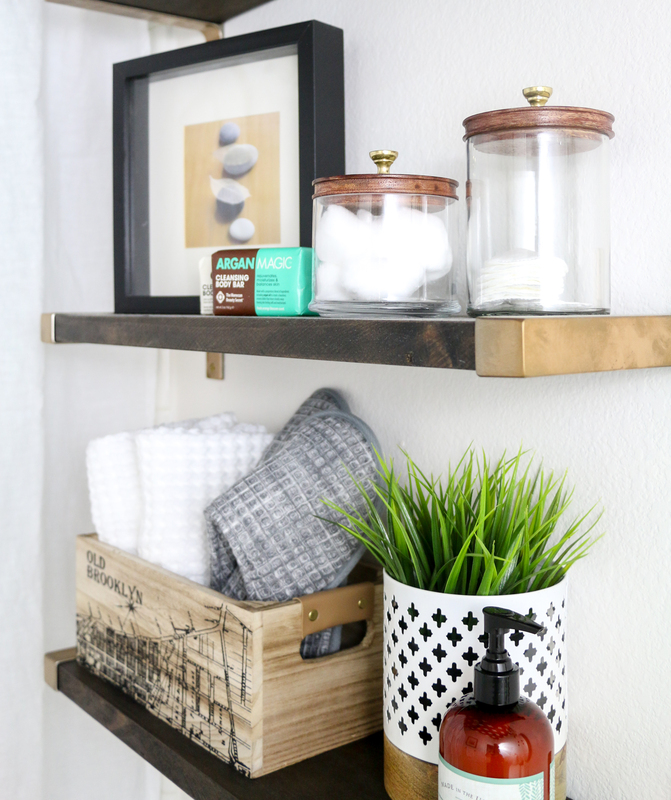 The last time my mom was here she stocked the place with Aveeeno products, but we still need to hang a towel bar and add a few other convenient touches for our frequent guests. I love the little trays and the idea with the slippers, I would love to be a guest with such a bathroom! Ahh I need details on that light fixture! 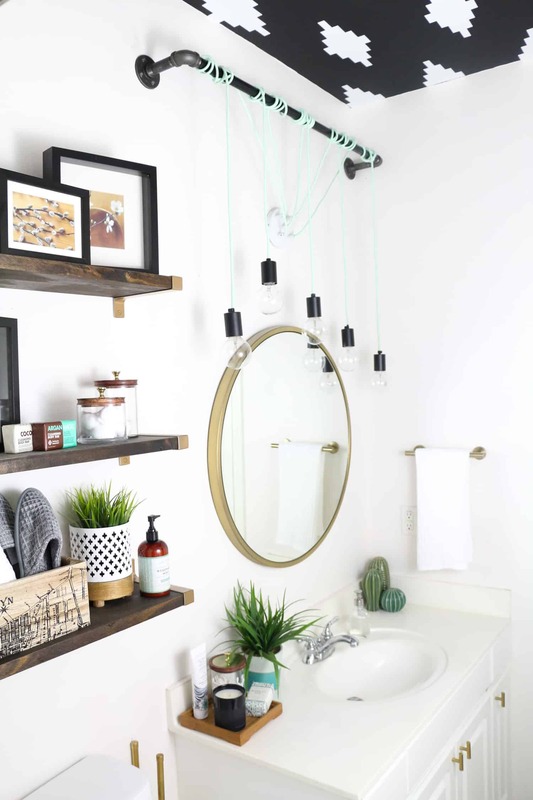 Been begging my fiance for a bathroom redo and the string lights are totally our style!! Good recommendations! Missed one though, a toilet plunger!!!! Keeps guests from being mortified about a toilet that refuses to flush. And it keeps the toilet from overflowing while looking for said plunger. Both pots are from Home Goods. One had the greenery in it and the other faux grass is from Ikea. Great recommendations. I love how the greenery leaves a homely feeling and all the fluffy stuff like the carpet and the rugs, just beautiful! 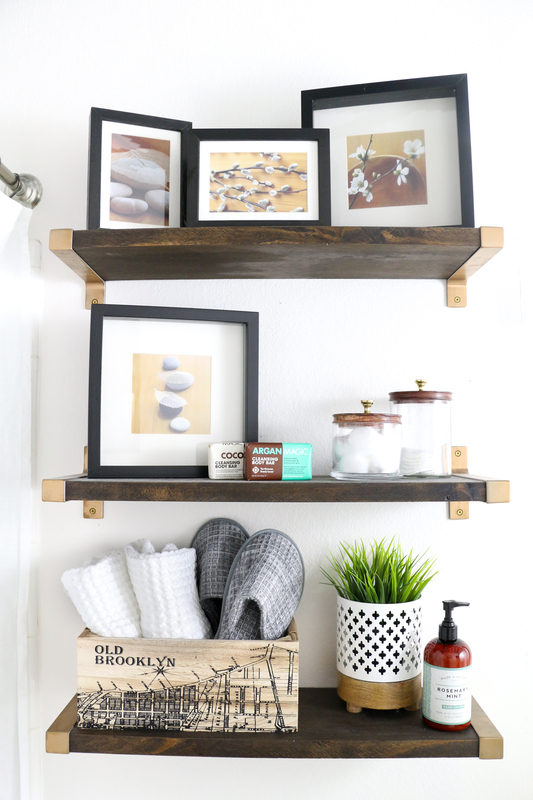 love, love, love your ideas on the guest bathroom! It comes together so well! Those shelves are amazing! I love how they turned out! Beautiful room. I was wondering where you got the cool old brooklyn box/basket? How I love the dark patterned ceiling and light walls! I’ve thought for months about how to ‘fix’ a very long entry hallway with no window other than the entry door. The ceiling is high. I think this will suit me to a T! Would you share where you found the wallpaper? or is it a super crafty paint job? I love the idea of the b&w painted ceiling and then matching that contrast throughout the room with subtle accessories. Well done!